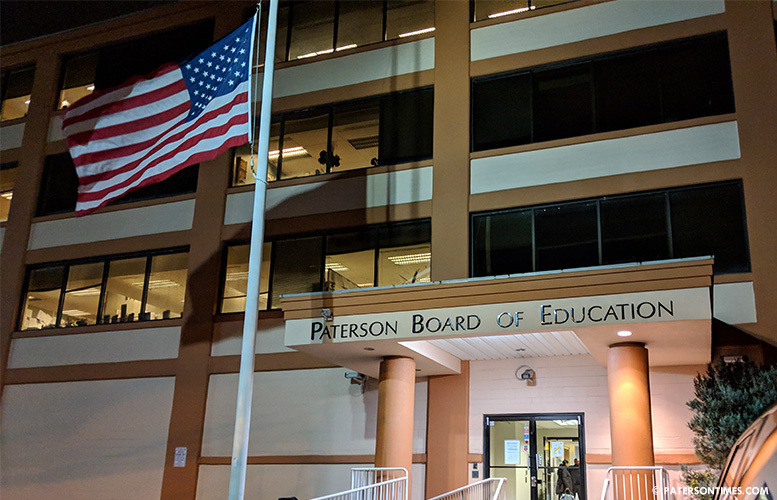 Grappling with a large budget gap, the school district is looking to cut 209 positions, including 150 teachers, said superintendent Eileen Shafer on Monday night. 24 vice principals and 35 supervisors will be eliminated as well to close a $22 million budget shortfall. “Class size in every building will go up,” said Shafer. Class size is likely to climb to 40 students, presenting teaching and safety challenges. Shafer said cuts could eliminate or scale back intervention programs to help students struggling in reading and math, SAT preparation courses, textbook purchases, art and music, library services, and science lab upgrades. The work of the past year and half will be undone by the cuts, said Shafer. Business administrator Richard Matthews presented a list of cuts to school board. $7.36 million in central office, $2.4 million in central office staff, $2.7 million in vice principals, $1.3 million in supervisors, and $5 million in vacant positions. School board members expressed anger and frustration at the list of cuts. The district had cut 526 staff members over the eight years of governor Chris Christie, said Shafer. During that time, the district was underfunded by $280 million. The district will save $10 million by laying off the 150 non-tenured teachers. Calculation is based on $70,000 per teacher with benefits. Some school board members suggested withholding the $9.4 million increase in charter school transfers to avoid laying off teachers. The state increased the district’s aid by $13 million, but the bulk of the increase is being eaten up by charter schools. Shafer criticized charter schools for depriving the district of funds to educate its students. “They are taking the money from our school district, giving everything charter schools need, and our children are left with the minimum that doesn’t provide a thorough and efficient education,” said Shafer. The district has to transfer $63.8 million to charter schools in 2019-20 school year, up from $54.3 million. “Are we going to pay that increase?” remarked school board member Kenneth Simmons. School board president Oshin Castillo said refusing to transfer funds to charter school could force the state re-assert control over the district. But, failing to provide a “thorough and efficient” education to students could also prompt state intervention. “Either way, we’re setup for failure,” said Castillo. The district’s budget for school year 2019-20 stands at $542.18 million. It includes a 14-percent local property tax increase. School board members will take a vote on the preliminary budget on Tuesday night. Cut some of the job at the school district offices and leave the teachers alone . There are too many directors why not combine some of those roles. The department heads do we really need them. In March before our teachers go on break they don’t want to hear this . Why every year there is this cloud of uncertainty here at Paterson. Please do not ascribe any more taxes to the tax payers, we dont get big raising any more.